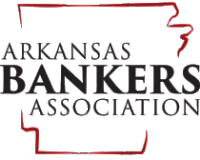 LITTLE ROCK—Nine Arkansas leaders from industry, education, banking and business were honored for their lifetime service on the Economics Arkansas board of directors during a recent cocktail reception. The gala was part of Economics Arkansas’s 50th Anniversary celebration, held at the Arkansas Governor’s Mansion on Nov. 8. Economics Arkansas is a non-profit educational organization that trains educators to teach economics without the “eeek” factor to Arkansas students K-12. Former U.S. Senator David Pryor served as keynote speaker. He recalled his long-time acquaintance and collaboration with Bessie B. Moore, who co-founded Economics Arkansas in 1962, then known as the Arkansas Council on Economic Education. Moore was legendary for her passion for public libraries and schools and managed to convince Pryor, as a first-time Congressman in the mid-1960s, to break with tradition and request permission to make a speech to the House of Representatives. She wanted him to support an amendment she had prepared to add to the appropriations bill of $10 million for public libraries. Pryor described how implored the then-Speaker of the House to let him have the floor because if he didn’t, “Bessie was going to have my hide.” He added that he was allowed to make the speech and the amendment passed. NOTICE: Photos for publication available upon request. Please email Claudia@economicsarkansas.org or call 501-683-3104 or 501-682-4349.